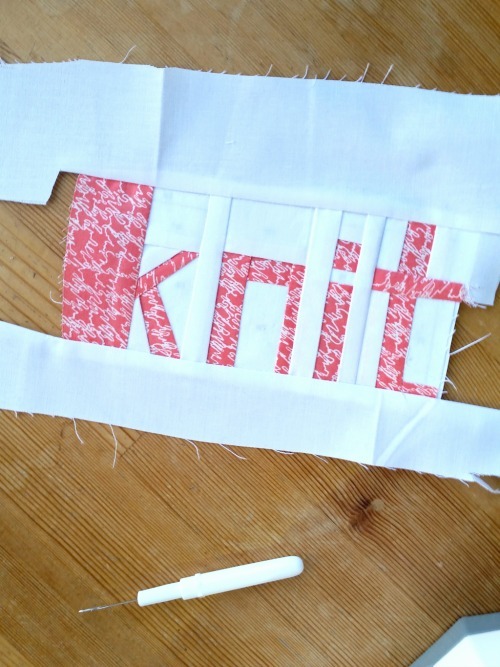 Miss Print: Knit All the Things! Hey y'all! Last month I participated in a little Instagram swap with friends called Knit All the Things - it was super-super-fun! Not only did we swap yarn, patterns, and other knitting-type lovelies, many of us made a little something for our partners as well. 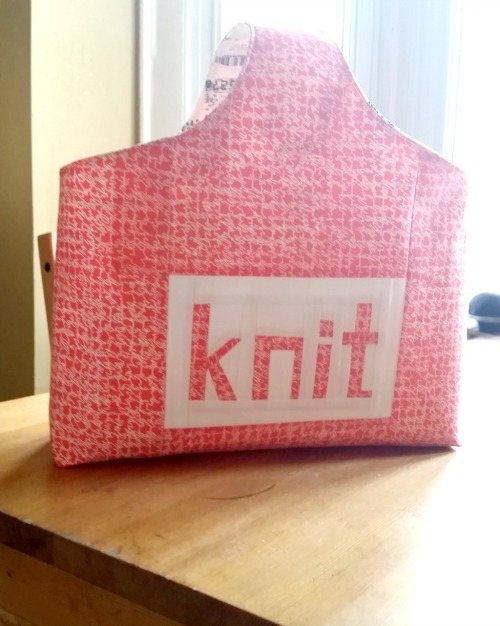 I decided to use Shannon's free pattern and made a Reversible Box Tote for my partner, Meg. Instead of adding the pocket, I decided to paper piece this little "knit" insert. I realized after mailing my package that I could have actually turned this bit of paper piecing into a pocket, which not only would have been easier but also more practical. Oh well, c'est la vie! Here is the finished tote. I used an Art Gallery print for the outside and paper piecing, and a print from Zen Chic's Comma for the interior. I quite like how it turned out and Shannon's pattern is fab! Of course, I forgot to take a picture of everything else I included in the package (Hazel Knits and Madelinetosh yarns), but I did get a picture of what I received from the lovely Jennifer! Eeep! Isn't this the best package ever?! I love everything and I am super-excited to have some beautiful sock blockers of my very own. Gosh, I am one lucky girl! I love the bag! AWESOME! What an exciting swap! The bag is so perfect for a passionate knitter to take projects out and about with. 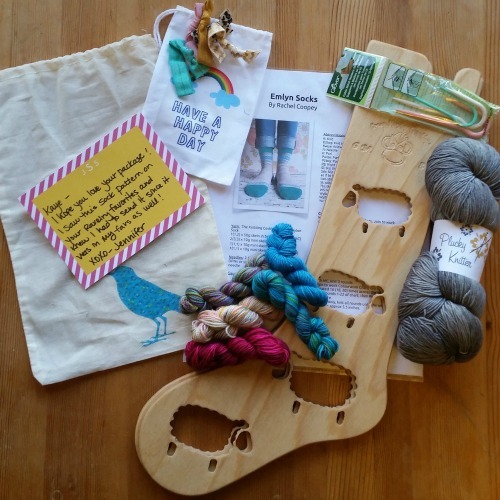 Stash-Busting Blog Hop + More Liberty Love! Giveaway Time - a little April Rhodes!